When you woke up with brain fog, you know that it’s going to be an unproductive day. You’ll struggle for hours before completing a task that you normally need only a fraction of the time. To make matter worse, you can’t even recall where you saved yesterday’s file on the computer. 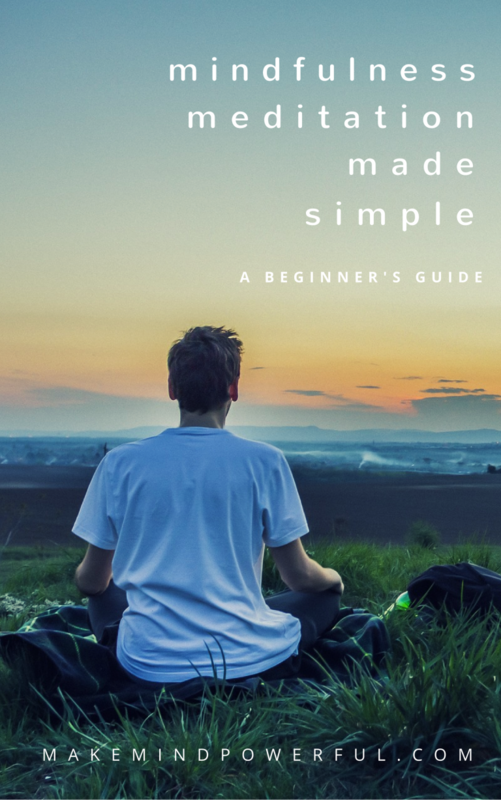 This is where taking supplements for brain fog could help you to regain mental clarity and focus within the shortest time, instead of hoping you would recover on the next day. Of course, taking supplements doesn’t mean you should stop applying other ways that will help you to clear brain fog. Brain fog is a mental state that could result in loss of focus, and memory problem. It causes mental fatigue where you are reduced to a fraction of your mental clarity. Often, experiencing brain fog is a sign of problems with other aspects of your health. There’s no warning of when you’ll wake up with a clouded mind, nor how long will it last. But if you’ve been getting brain fog on a frequent basis, you ought to examine if you’re experiencing these conditions. They are often linked to he manifestation of brain fog. Stress – It’s hard to avoid feeling stressed, especially when you’re living in urban cities. But when not managed well, stress could lead to changes to brain functions that result in mental fatigue and the loss of concentration. Lack of Sleep – Getting adequate sleep is more than spending 8 hours of slumber. The time when you start sleeping plays an important role in determining if you will be rejuvenated or sluggish the next day. Hormonal Imbalance – The decline of estrogen in women undergoing menopause and testosterone in their male counterparts going through andropause is known to affect the neurotransmitters in the brain, thus causing a decline in cognitive ability. Nutrition Deficiency – Lacking in magnesium, Vitamin B-12 and amino acids are also linked to brain fog. Besides that, some people also experience mental sluggishness when taking food containing gluten, peanuts or dairy. Medications – It is known that some medications may introduce unpleasant side effects, including brain fog. Talk to your doctor if you’re suspecting that the antidepressant or sleeping pills are affecting your concentration and memory. Medical Conditions – Frequent brain fog episodes that last for weeks or months are often linked to underlying medical conditions such as Fibromyalgia, Anemia, hypothyroidism, diabetes and leaky gut syndrome. Does Taking Supplements Help With Brain Fog? With all the hype with nutritional supplements, you’ll want to ask if they are of any help for clearing brain fog. Are the claims made by manufacturers mere marketing hype or are they backed by science? Well, it depends on the type of supplements and how it affects with your body. Brain fog is often a sign that you’re suffering from brain inflammation, which is a result of conditions like chronic stress, diabetes, hypothyroidism, and other inflammatory diseases. Brain inflammation is not to be trifle with, as it could lead to serious generative disease. In such condition, taking Omega-3 fatty acid as a supplement could help in reducing the inflammation. When you’re exposed to prolonged duration of stress, your body may build up an excess of cortisol which may cause you to be restless and lack focus. Supplements that contain herbs like Ashwagandha help to reduce cortisol level effectively, according to a study by Asha Hospital in India. You’ll want to understand how the ingredients in a particular supplement support your brain health to promote mental clarity, focus and reduce mental fatigue. While you could gain mental clarity by taking various herbs, adaptogens, vitamins, and minerals, there may be side effects that are associated with each ingredient. Ensure that you’re aware of the potential risks and observe if you’re developing any side effects. Some supplements are extremely potent and can be dangerous in large dosage. Always read the recommendations stated by the manufacturer or consult your doctor before taking any. Pregnant and breastfeeding women should be cautious and always seek doctor’s advice before taking any supplements. There is a lack of studies that prove the various herbs and adaptogens are safe for in such cases. Choosing a supplement to eliminate brain fog is more than browsing for the cheapest product. 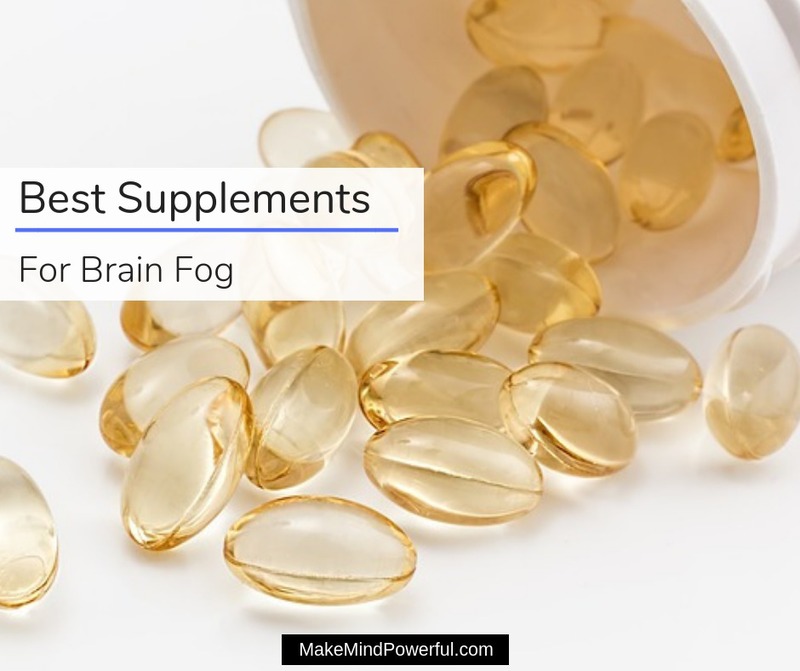 As brain fog is a common problem, there are possibly hundreds or thousands of supplement vying for your attention. Instead, consider these factors when making your decision. Active Ingredient – Some supplements are produced with a single ingredient while others may be a combination of different herbs, vitamins, and minerals. Each ingredient has various benefits, besides promoting mental clarity. Likewise, they may introduce side effects that you should be cautious. Product Safety – Whether the supplement is made of herbs, vitamins or minerals, you’ll want to be assured that the ingredients are derived in a way that does not cause harm to environment and health. Manufacturing Quality – Look for supplements that are produced in a manufacturing facility that practices industrial standard, such as the FDA-recognized GMP. Dosage Strength – Manufacturers often offer various dosage strength for capsules. Your choice will depend if you’re taking it as a general supplement or if you have a serious case of brain fog. If you’re still struggling to focus, it’s hard to browse and determine which supplement or ingredient works well for you. I’ve highlighted the best supplements that work and furnish it with solid reasons why they do. Ginkgo Biloba is not only a popular herbal plant used by the Chinese but is arguably the oldest plant in the history of the planet. Gingko trees grow naturally in China, with some trees being more than 2,000 years old. The leaves are known to carry numerous medicinal property and turned into extract as supplements. Studies have offered a glimpse into the possibility of Ginkgo Biloba in enhancing focus and memory. For instance, nineteen middle-aged participants took part in a clinical trial that shows improvement in working memory after receiving Ginkgo Biloba extract for 14 days. 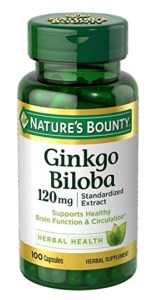 If you’re struggling with brain fog, Nature’s Bounty offers one of the highest quality Ginkgo Biloba capsules to promote mental alertness. The capsules are made from ginkgo leaf extracts which are standardized to contain 24% ginkgo flavone glycosides, the active component of the plant. You could start regaining mental clarity by taking a single capsule daily. The ginkgo extract is assured of purity and is non-GMO, gluten-free and soy-free. You may start recalling things easily after starting on Ginkgo Biloba. If you’re a fan of Indian cuisine, you would have noticed that turmeric made a pronounced appearance in most of its recipe. Besides adding a hint of yellow to Indian curry, turmeric is also an important herb that is used in Ayurvedic practice for thousands of years. It is no secret that turmeric boasts a range of health benefits, thanks to over a hundred medicinal compounds found in the root. Curcumin, one of the component, is what makes turmeric a strong anti-inflammatory herb. Dr. Gary Small, a researcher at UCLA has cited the effectiveness of curcumin in improving memory which could be attributed to its ability to reduce brain inflammation. 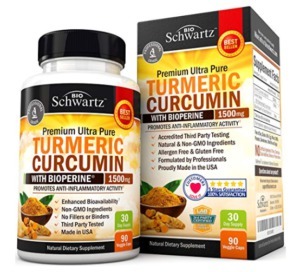 BioSchwartz Turmeric Curcumin is one great option to remove brain fog on days you need to be at your sharpest. It is formulated with 1,500 mg of turmeric curcumin with 95% standardized curcuminoids to give you all the support on a mentally sluggish day. Each capsule is enhanced with Bioperine, which further increase the absorption rate and bioavailability. You can be assured that only the finest ingredients are used in the supplement and they are processed in an FDA-approved GMP manufacturing facility. Magnesium is a common mineral that is crucial to support a healthy mind and body. You’ll find magnesium naturally available in a wide range of foods, including spinach, pumpkin seeds, mackerel, and black beans. Lacking in magnesium can cause complications which affect neurotransmission, metabolism, and synthesis of proteins in the body. The effect of brain fog which results from anxiety or depression could be reduced with sufficient magnesium intake. Not only magnesium provides calming effect on the mind, but it demonstrates the ability to enhancing brain receptors which are associated with learning and memory. 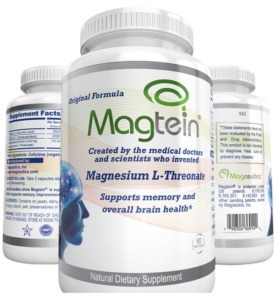 There are various forms of magnesium and L-Threonate is one that is best to clear brain fog. If you’re suffering from magnesium deficiency, you could benefit from magnesium capsules by Magceutics. Unlike ordinary magnesium supplement, it is specially formulated to ensure a higher amount of magnesium passes through the blood-brain barrier. Formulated by MIT scientists, the magnesium capsules also contain Vitamin C and Vitamin D, which further increase the absorption rate of magnesium in the brain. The supplement is produced in a cGMP facility and is non-GMO, gluten-free. Also known as Brahmi in India, Bacopa Monnieri is an effective herb used in Ayurvedic medicine for hundreds of years. It was priced for its ability to promote cognitive function and also a natural anxiety remedy. Its therapeutic properties are attributed to a number of natural compounds including flavonoids, terpenoids, and phytosterol. As a herb focused on boosting cognitive function, Bacopa Monnieri is an effective herb in clearing brain fog. A clinical study involving sixty medical students in India has shown a promising result of Bacopa Monnieri extract in enhancing memory and learning. 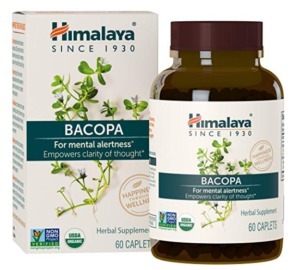 Himalaya Organics Bacopa Monnieri supplement is a great alternative to promote mental alertness. The extract is made from USDA certified organic Bacopa Monnieri whole plant powder and extract. Presented in caplets, they are non-GMO and free from harmful additives and chemicals. With each caplet containing 3,375 mg of Bacopa powder, this supplement is a clinical strength extract that provides you the strength equivalent for every single milligram in the caplet. They are produced in a cGMP facility and undergone rigorous testing for potency and safety. All DHA, EPA, and ALA are crucial in maintaining physical and mental health. DHA and EPA are specifically targeted to enhance cognitive function. A study that examines the effect of Omega 3 on improving cognition found that EPA has the edge over DHA in this respect. Omega 3 fatty acids are almost synonym to fish oil. This is true for DHA and EPA, which you could find in abundance in fatty fishes like salmon and anchovies. However, ALA, another form of Omega 3 is found in plants. 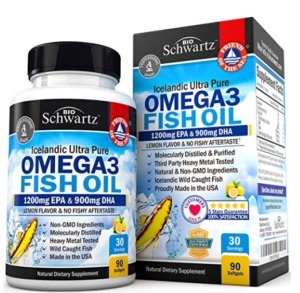 You could enjoy the benefit of Omega 3 fatty acids without resorting to fishing in the ocean with this Omega 3 Fish Oil supplement by BioSchwartz. The oil is derived from fishes caught from the oceans of Iceland in a sustainable manner. The supplement was produced with the supercritical extraction method, which ensures its therapeutic properties are retained in the purest form. Besides that, you’ll have no unpleasant fishy aftertaste with this supplement. Vitamin B is essential for various functions of the body. Specifically, Vitamin B6 and B12 are crucial to support a healthy mind. You could find Vitamin B in most food, but they are easily destroyed by cooking and alcohol. It goes without saying that lacking in these vitamins may result in mood-related disorders. The fact that Vitamin B plays an important role in ensuring healthy cognitive functions is well demonstrated in some studies. A publication in 2012 has linked low level of Vitamin B to cognitive impairment, although more studies are needed to provide greater insight. 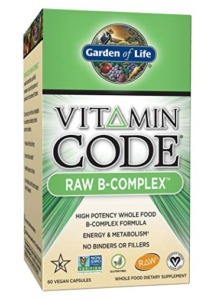 If you’re diagnosed with Vitamin B deficiency, Garden of Life Vitamin B Complex supplement will serve as a suitable solution. The vitamins are naturally derived from plants and include raw probiotic and enzyme blend to promote a healthier digestive tract. Each capsule contains vitamins B1, B2, B3, B5 B6, B12, folate, and biotin, giving you a full range of necessary B vitamins to boost metabolism and increase energy. These highly potent vitamins are encapsulated in veggie capsules and are non-GMO verified. The body needs Vitamin D to regulate various critical functions, including the brain and nervous system. You could get Vitamin D by exposing yourself to sunlight or taking foods that contain the vitamin. Lacking in Vitamin D can lead to depression and fibromyalgia which are associated with brain fog. While scientists are certain that Vitamin D deficiency can lead to cognitive impairment, there are conflicting views if taking Vitamin D will result in boosting cognitive function. Meanwhile, a study that involves prescribing Vitamin D to depressed women shows significant improvement after 12 weeks. 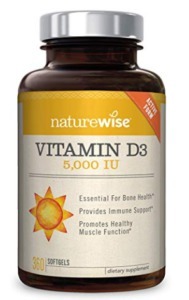 NatureWise Vitamin D3 is a great alternative that replenishes your body with the same Vitamin D produced from sunlight exposure. Each serving of Vitamin D softgels contain 5000 IU, the recommended dosage suggested by the Vitamin D Council. The softgels are manufactured to be easily swallowed and have a higher bioavailability than its tablet counterparts. You can be assured that the Vitamin D softgels supplied are of highest potency and purity as they have been independently tested. Acetyl L Carnitine is synthesized from L Carnitine, a form of amino acid that is naturally available in the body. Besides aiding the body to generate energy, Acetyl L Carnitine functions as a powerful antioxidant. It crosses the blood-brain barrier with ease and ensures positive oxygen flow in the brain. Also known as ALCAR, it is an effective agent in treating cognitive impairment. Tests on animal models show significant improvement in learning ability in aging rats. A study involving fifty-five chronic alcoholic also shows improvement in cognitive areas after prescribed with ALCAR. 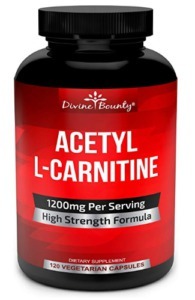 You can take Acetyl L Carnitine as a supplement as Divine Bounty has a decent capsules-based ALCAR that aid in regaining memory and focus. The supplement is made from pure ingredients without any harmful additives. They are produced in an FDA-certified facility and the capsules are non-GMO. With 1,200 mg of Acetyl L Carnitine in a single serving, it is one of the most potent formula available. You could start by taking two capsules daily to reduce the effect of brain fog on your productivity and focus. As a trace mineral, human only required a tiny amount of zinc to sustain body functions like metabolism, hormonal balance, and immune system. While only a small amount of zinc is required, insufficient intake may lead to complications like depression, anxiety and leaky gut syndrome, which leads to brain fog. Studies have been conducted on the effect of zinc and cognitive functions. A carefully conducted study by researchers in Iran found that children aged 6-8 experienced significant improvement in cognitive performance after taking zinc sulfate syrup for 6 months. 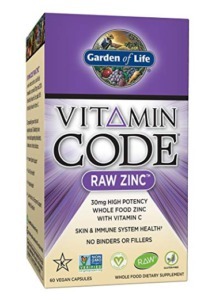 If you’re lacking in zinc, Garden Of Life Zinc Supplement is the answer to reclaim razor-sharp focus and memory. The supplement is formulated with 30 mg of RAW zinc and Vitamin C. It is also enhanced with a probiotic and enzyme blend for extra digestive support. The zinc capsules are non-GMO certified, gluten-free and contain no harmful additives. They are also blended with 17 organic vegetables to provide additional minerals needed by your body. 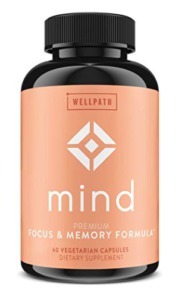 If you prefer taking nutritional stacks to clear brain fog, you may want to check out this Mind Premium brain support supplement by Wellpath. It includes Bacopa Monnieri and Ginkgo Biloba in the supplement to boost mental performance while L-Theanine and Rhodiola help to keep your mental energy level up. You’ll find that you start channeling laser-sharp focus and memory again with the aid of Lion’s Mane and Alpha GPC in the capsules. I have to claim that I’m currently taking this supplement and it has been quite effective on mentally sluggish days. It takes less than one hour for me to start reclaiming mental clarity with only a single capsule. The brain-boosting blend is packed in veggie-capsules and is non-GMO. They are produced in a GMP-certified facility in the US. As someone who is no stranger to brain fog, I know how frustrating it is trying to concentrate when your brain screams otherwise. I hope this article has been of great help in helping you to choose a supplement to regain mental clarity.